Major palm oil companies say they can increase production without destroying more forests, in part by expanding into degraded lands only. A new study, though, finds that may be easier said than done in Kalimantan, which lies at the center of the industry’s boom in Indonesia. If palm oil demand keeps growing at a high rate, degraded land alone won’t be able to accommodate the expansion that will be necessary to satisfy it, the researchers found. The scientists based their findings on regional data from multiple sources, including Indonesia’s Central Statistics Bureau (BPS) and the World Resources Institute’s Suitability Mapper webtool. The latter was used to define the amount of underutilized and degraded land available in the region to accommodate for future agricultural expansion, which was estimated at 0.7-1 million hectares. This figure accounts for the estimation that on the ground only 40 percent of the land will actually be available and suitable, based on previous field work. The area under oil palm cultivation is expected to grow to 1.1-1.8 million hectares in 2020 (from 0.4 million hectares in 2008, BPS), following current and historical growth rates. 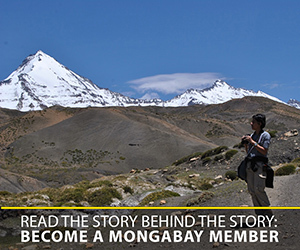 In 2013, the area under cultivation had already nearly reached 1.1 million hectares. The findings run counter to the Indonesian Palm Oil Pledge (IPOP), an alliance of palm oil giants which holds that the country’s ambitious 2020 targets for production of the commodity can be reached by expanding into degrading lands and raising yields, rather than via additional forest clearance. In contrast, the researchers make a pledge in their article for “halting the projected linear or even exponential expansion of oil palm and other commodities.” At the same time they stress the need for increasing yields, using underutilized (degraded) lands, and improving production chain efficiency, to be able to actually prevent further deforestation. 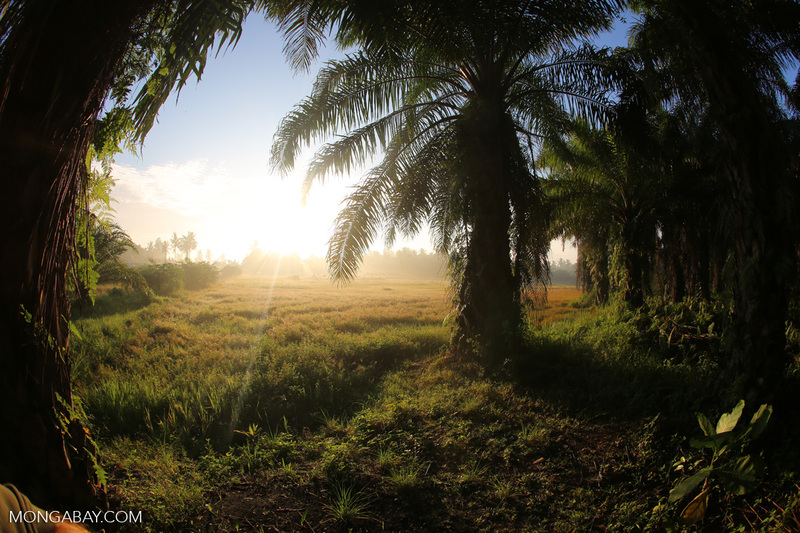 In addition, the researchers stress the importance of further field research to support responsible selection of suitable lands for oil palm expansion. 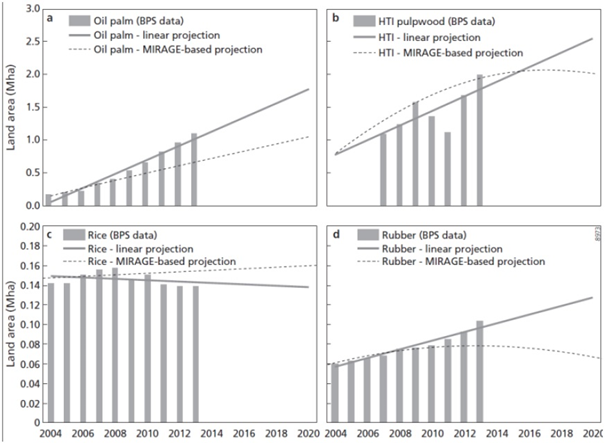 Land area in millions of hectares (Mha) for the production of palm oil (BPS data) and projected land-use demand for 2020 under a low-growth projection (MIRAGE, dotted line) and a linear projection (continuous line) for North-East Kalimantan. Adapted from Van der Laan et al., 2016.